In this post, we draw on our experience to reveal the key dangers businesses face in keeping their ERP software implementation project on track, so you can avoid them. We’re highly experienced in helping guide businesses through the ERP software selection and implementation process—and over many years and hundreds of projects we’ve refined our consultative approach to help our customers avoid the pitfalls that can beset new software implementations. Enterprise Resource Planning (ERP) software and its implementation is a significant investment. Manage the project poorly and you’ll potentially have wasted money and time on software that doesn’t meet your needs, hasn’t been applied or customised properly, and isn’t understood or embraced by your team. So, where do ERP software implementation projects usually go wrong? 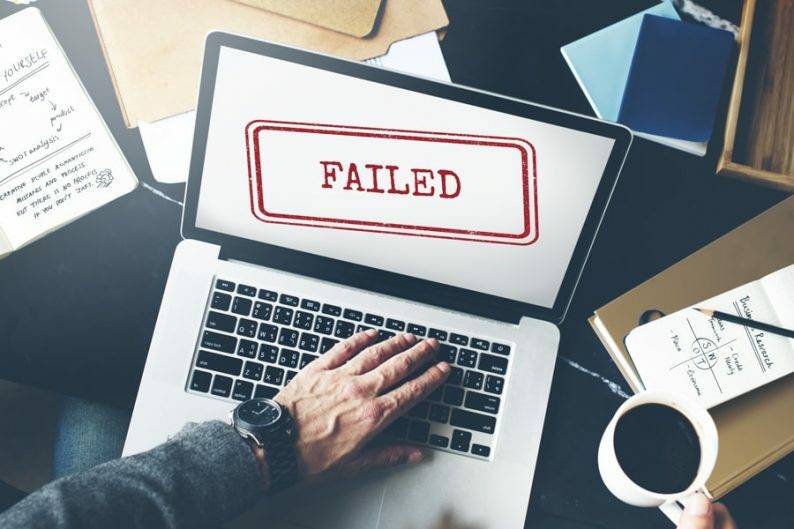 These are the most common reasons ERP software implementation projects exceed their deadline or budget or fail to deliver the functionality needed in your business. This is a major area where projects can run over time. It can be a much bigger job than people first estimate because of the technical aspects. Making data ready for your new system involves a lot of preparation, checking and reconciliation—you need people internally that have the time and capacity to do this work. It takes even longer if you have enormous datasets, the data is not clean, or it’s in many different formats. Yes, modern ERP systems come with great reporting tools. But are the reports you’ll rely on every day in the specific format you want? Check and double-check if you have the data, drill-downs, KPIs and other features you’ll need for reporting. Otherwise, you may end up with a massive bill for additional development work to write reports you can actually use. If you’ll require multiple integrations between your ERP and other software you use, it can lead to scope and budget creep. Make sure you take time early in the process to carefully scope and document other systems that must be connected to your ERP to make workflows seamless. Set the right expectations about how long it will take. Don’t make decisions about timing based on fitting into budgeting windows, lining up with other calendar events, or the arbitrary whims of a particular Board member. You’ll also need to allow plenty of time to train users and test the system. Don’t forget—you’re still running your business while this project rolls out, and both require sufficient time to do well. When you’re evaluating proposals from prospective ERP implementation partners, look carefully at their implementation methodology. Does it suit the size and scale of your implementation goals? Does it fully account for training, testing, data conversion, and the customisation you need? It’s wise to walk before you run. If your business is transforming from relatively basic software to an ERP solution, it’s recommended that you do so in a phased approach. 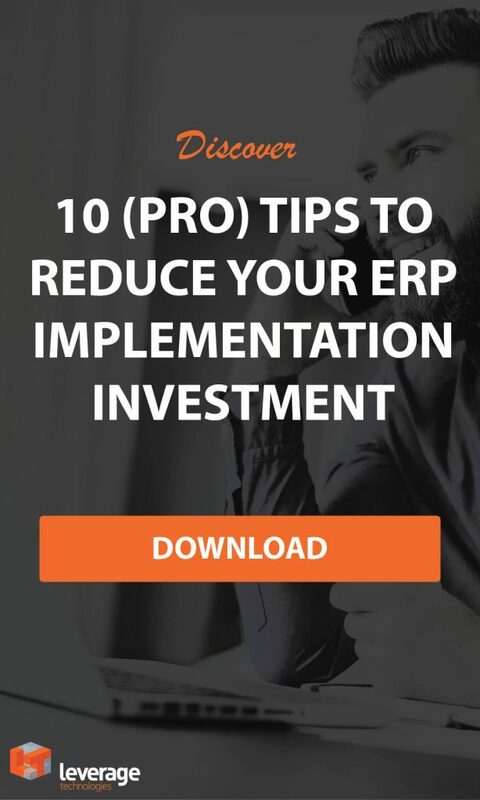 For example, you could focus on implementing your ERP to improve financial management and manufacturing functionality in phase one, then introduce technologies that enable improved distribution and a paperless warehouse in phase two. Assess the external people you’ll be working with to achieve a successful implementation: are they experienced, do they communicate well, do they gel with the culture and people in your business? Your internal talent, skill and experience in managing a project of this nature will also impact the success of your ERP implementation. In particular, it’s important to appoint an internal project manager that can liaise with your implementation partner, expedite decisions internally, and be accountable for issues that arise. Small problems can become big problems if you don’t have genuine buy-in from C-level executives. A leadership team that is invested in the success of your new ERP software will help find solutions to issues, allocate resources, champion change management efforts, and get the project over the line. Choose software and partners carefully – Be thorough when selecting software and your implementation partner: check the references and capability of potential partners, and review software based on a clear understanding of your business needs. Allocate realistic time and budget to your project: Obviously, there’s no point considering software you can’t afford, or expecting the solution to be introduced overnight. If you don’t understand your implementation providers’ proposal or the total costs/timings due to the methodology they use—stop, rethink and ask more questions. Make sure you have the internal muscle to implement an ERP: If you have ambitious implementation aspirations, ask yourself if you have the know-how and availability internally to support the implementation and manage change within your business? Because ERP solutions introduce workflows and data sharing that are designed to be pervasive across your business, if you get it wrong, it can hinder every aspect of your operation. Choose your software and partners wisely, and manage your implementation project carefully! Do you need help from an expert team that has guided hundreds of successful implementation projects? Talk to Leverage Technologies: call 1300 045 046 or email info@leveragetech.com.au.